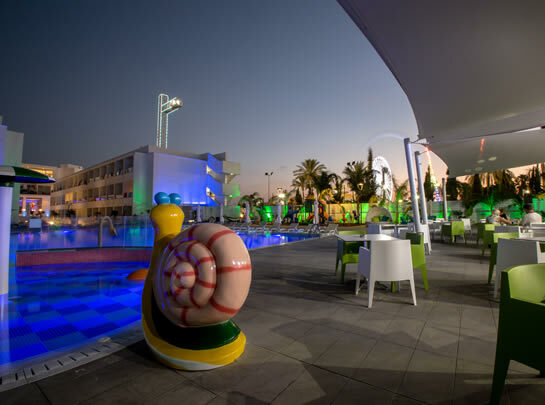 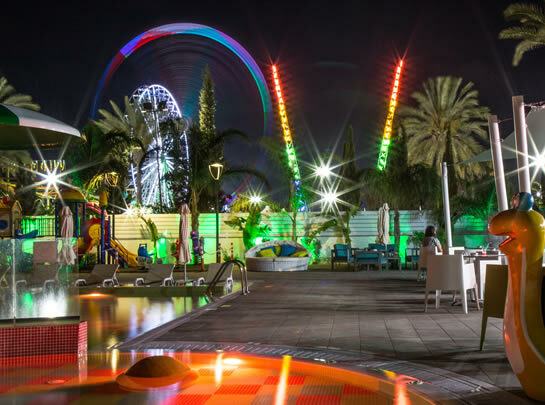 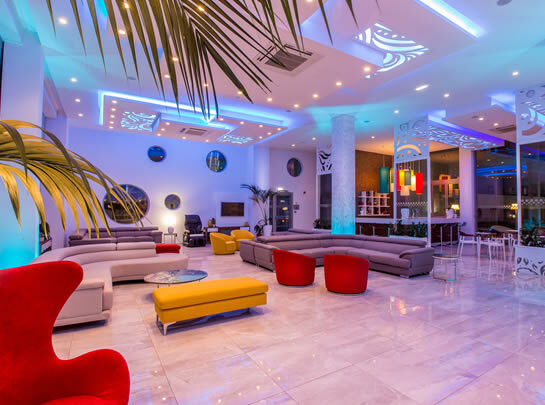 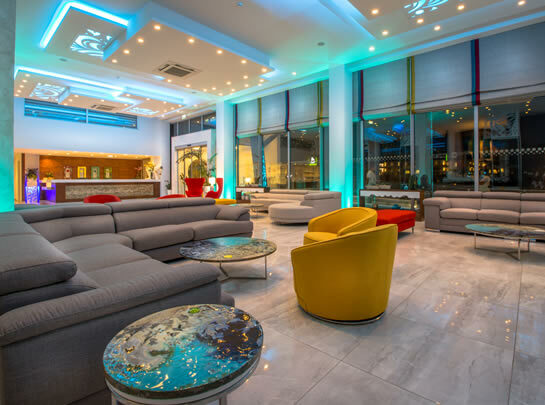 The Nicholas Color Hotel is a brand new 3-star hotel in Ayia Napa whose theme is based around vibrant colours. 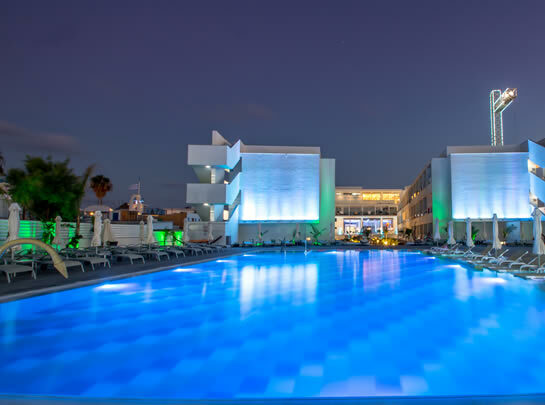 This exciting hotel is located in the heart of Ayia Napa and just a 2 minute walk to the beach. 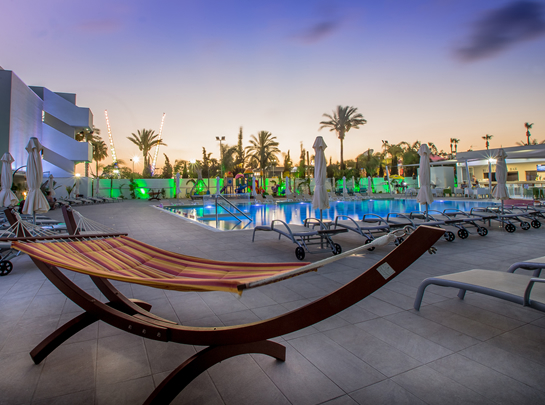 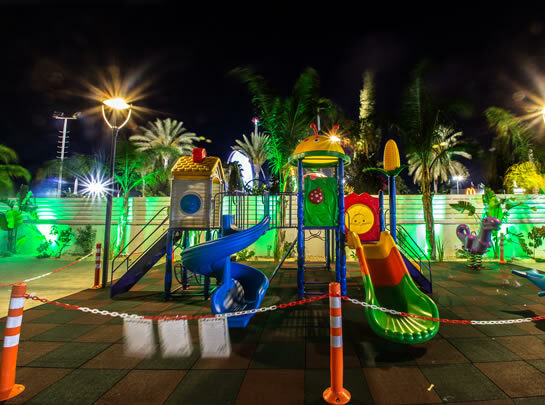 The hotel provides an array of facilities for the whole family to enjoy including an outdoor pool with Jacuzzi, a professional massage team offering massages poolside or in a massage room, outdoor gym and children’s pool, play area and entertainment programme twice a week. 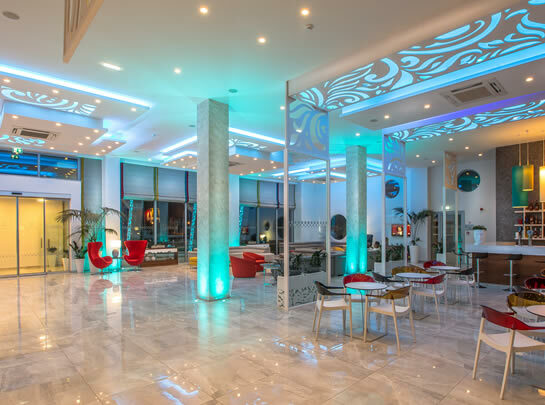 The Rainbow Restaurant is a panoramic buffet restaurant with live cooking and Bianco pool bar serves á la carte options throughout the day. 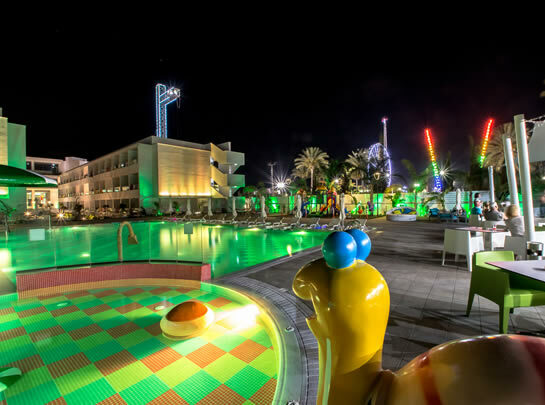 The hotel comes alive at night time when the coloured hotel lighting glows. 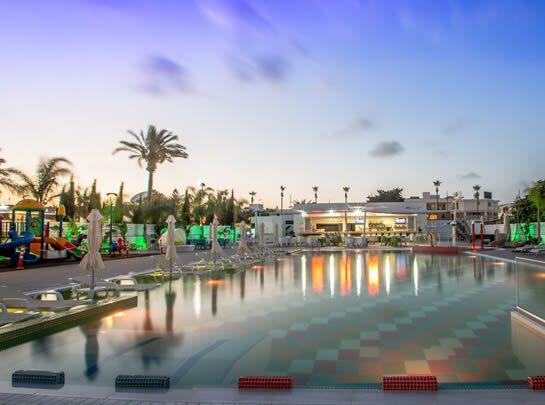 Nicholas Colour Hotel is a great value family hotel in Ayia Napa with the option for an All Inclusive stay. 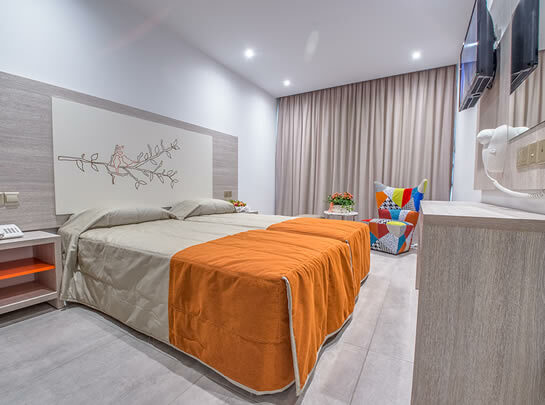 Rooms at this hotel are based on different a different colour scheme, designed to aid relaxation and maximise comfort. 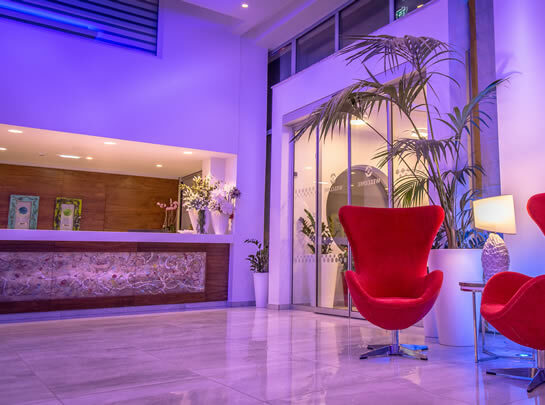 Room facilities include free Wifi, air conditioning, furnished balcony or terrace, flat screen satellite TV, direct dial telephone, safe (extra charge), mini fridge, hair-dryer, bathroom with shower and dressing table.